With the A-dec Performer Dental Chair you are assured comfort, simplicity and as with all the A-dec range, reliability. A-dec has designed this chair to give you flexibility and the access and comfort you need. The delivery system can be located in either left handed or right handed positions, in a matter of seconds. It also features a 300 touchpad which offers more functionality and the option to upgrade to the deluxe version. If you are thinking about buying the A-dec Performer dental chair for your surgery, or you would like to talk to one of our experts call us on 0800 298 5003 or fill in the enquiry form. Take an in depth look at the A-dec Performer and download the brochure. 'I have used Hague Dental for all my dental equipment repairs and new equipment since 1994 when Jim was a one man band. Our Design and Project Management Team offer 'no obligation' design and planning consultations at your practice and site. Hague Dental have been designing NHS and Private Practices for nearly 20 years, as well as being involved in larger projects for Community Health Centres and Hospitals. Why not come experience the A-dec Performer Dental Chair at our stunning new showroom, near Gatwick. You might also be interested in seeing a choice of traditional and modern dental cabinetry, decontamination areas and equipment, dental reception desks and waiting room furniture. Appointments are at your convenience, including evenings and weekends. Hague was set up as an engineering company in 1996, to provide dental practices with efficient and effective dental servicing. 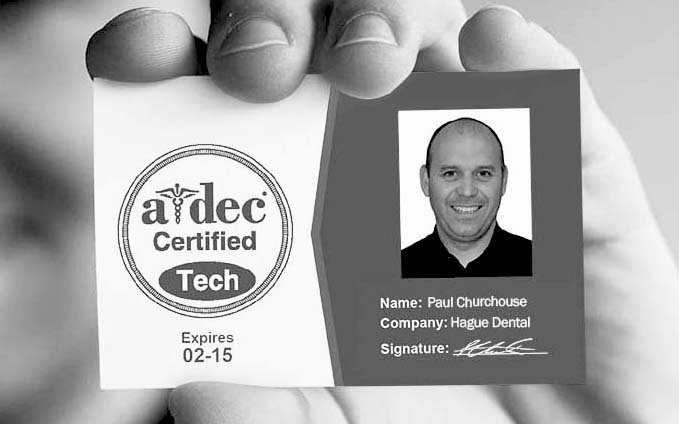 Our team our certified A-dec technicians and all manufacturer trained. Whether for emergency same day repairs or for annual servicing in line with current CQC standards our team have the experience to ensure your equipment is well maintained. Hague understand that taking on a refurbishment when you are running a busy practice or when you are undertaking a squat site can be very stressful. Our Project Management Service provides build quotations and coordinates trades to ensure your project comes in 'on time and in budget'.